No matter which industry you work in, your data management solution should boost performance, not compromise it. It should help you meet your data integrity requirements with confidence. Raima’s leading database system gives you both performance and confidence in a cross-industry solution that meets the embedded/real-time and edge computing demands. Our feature-rich platform is based on a small footprint and delivers speed, reliability, and flexibility. Our support for high-performance applications is unmatched. 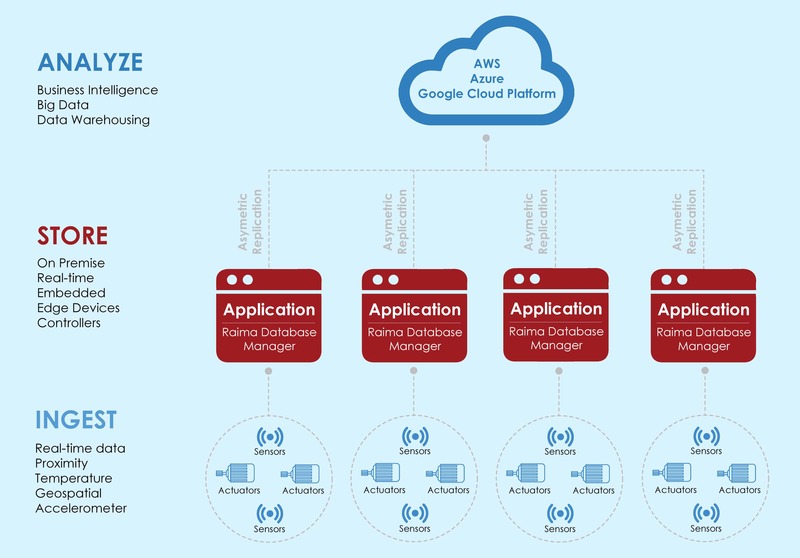 Raima’s solutions already help clients worldwide leverage data’s power in applications including industrial automation systems, aerospace and defense flight control systems, telecom routers and switches, financial trading systems, medical equipment, data backup solutions, IoT/IIoT devices, and others. Use Raima’s powerful database solution to meet and manage demands for real-time decision making, security and other critical industry factors and replicate historical data to the cloud for big data analytics and artificial intelligence. Easily embed our enterprise-caliber database within your application to collect, store, manage and move data in near-real time. Raima provides the highest-functioning database for resource-constrained environments and supports in-memory, hybrid and persistent storage. Multiple APIs and configurations provide developers with a wide variety of powerful programming options and functionality, including hosting applications, processing and analytics close to their sources. You save resources and gain a competitive edge. Leading companies in your vertical have embraced the Raima difference for more than 30 years. RDM is designed for small footprint environments. Developers can reduce the size to as low as 350K, depending on features and options selected.